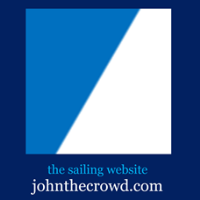 World Sailing TV video above scheduled for Feb 3, 2019: The final day of racing at the Hempel World Cup Series Miami 2019. First day of medal races on the waters of Biscayne Bay, Miami, Florida USA! Day 2 Highlights video; Day 1 Highlights video; the US Sailing Team pump up video, Hempel World Cup Series Miami 2019 preview video, and a look back - World Cup Series Miami 2018 Highlights video. World Cup Series Miami 2019 in Coconut Grove from Jan 27 to Feb 3, where sailing's Olympic class athletes will be on top of their game as Tokyo 2020 draws ever closer: results and tracking.